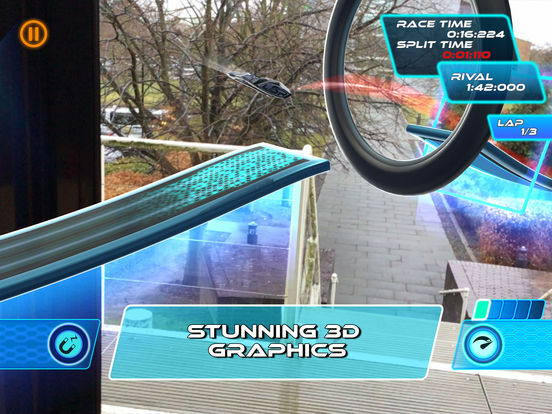 Augmented Reality Antigravity Racing Game Presenting a fusion of stunning sci-fi graphics and intense racing action. 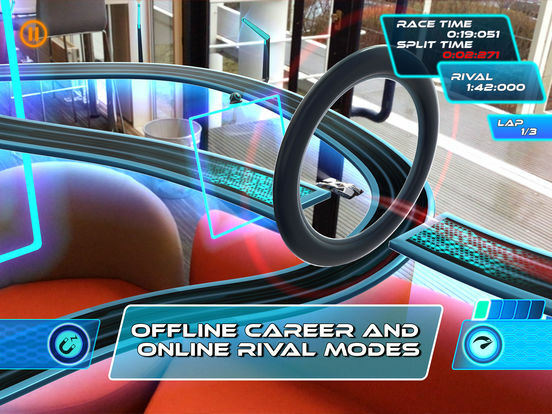 Compete in offline mode or online against a worldwide leader-board! 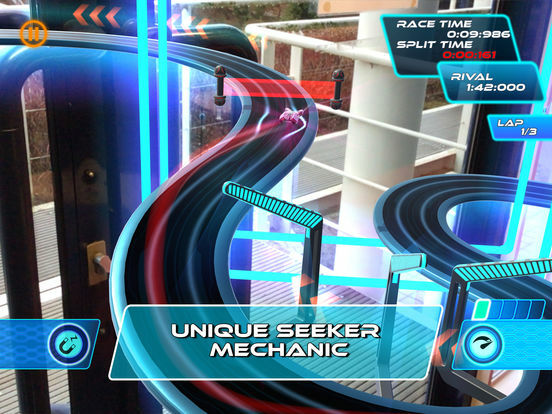 Lightstream Racer allows players to experience futuristic Motorsport in the real world! 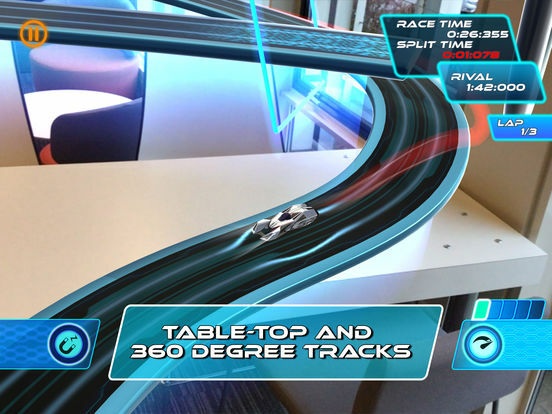 Augmented Reality, scan a real surface and place an immersive race track in front of your eyes! 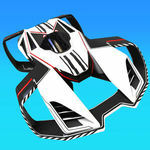 Pilot bleeding edge vehicles around unique race tracks that will push your driving skills to the limit as you strive to climb the online leader-boards and boost your Pilot Grade. Streamlined, two button control system is super intuitive to use while offering a huge amount of depth as you perfect your racing line. Start as a rookie pilot in Career Mode and unlock faster vehicles and more challenging race events as you beat each track record. Online Mode offers you the opportunity to find out how good a pilot you really are. Choose a Rival pilot and see if you can beat their time and earn your place higher up the leader-board. 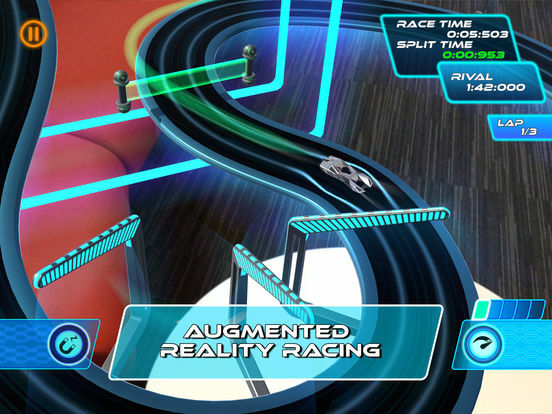 Intense 360 Degree room-scale experience, offers you the chance to be in the center of the action with the track completely encircling you, bringing the racing closer than ever.